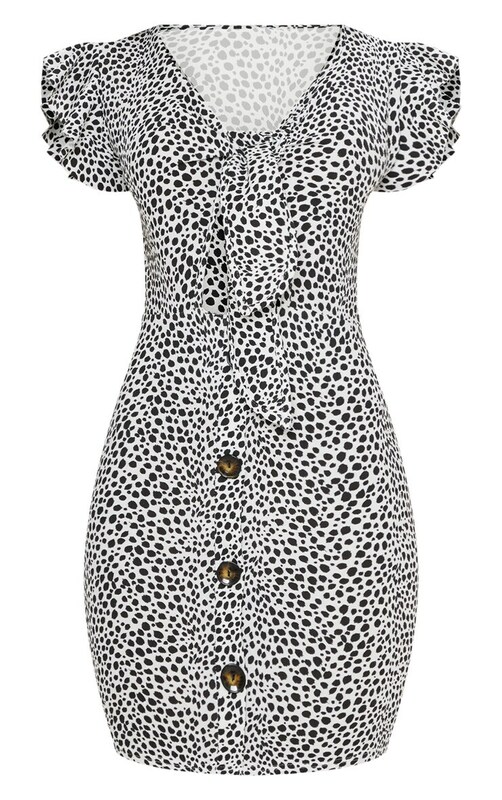 We are loving prints this season and this mini dress is perfect for any occasion. Featuring a white material with a dalmatian print design and a tie front fastening. 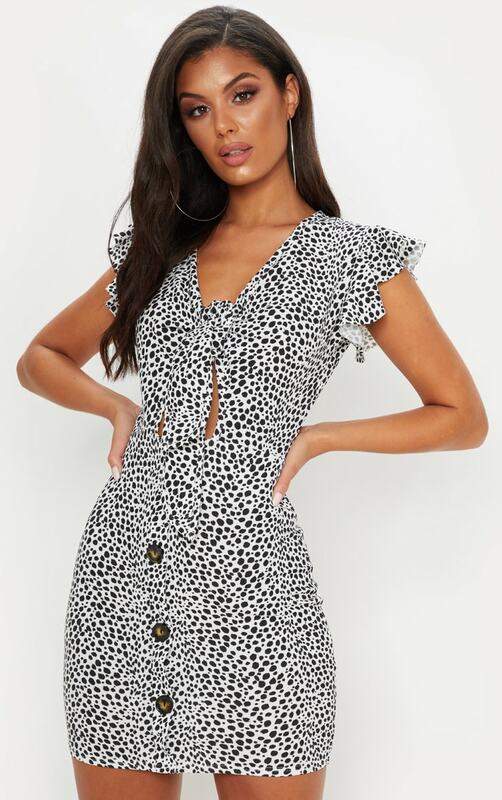 Team this dress with strappy heels and your biggest hoops for a weekend worthy look.